Verda S. Turner, age 76, of Jasper, passed away March 19, 2019. Verda was born in Detroit, Mi. to the late Leon Gangian, a survivor of the Armenian Genocide and Ruth Cheatham Gangian. 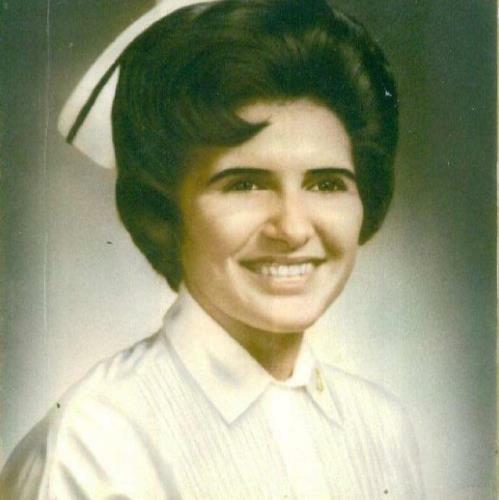 After high school, she graduated from Baroness Erlanger School of Nursing in Chattanooga. Although a very accomplished person, she always lived her life humbly. She was preceded in death by her parents as well as her husband J.W. Turner Jr, step-daughter Jane Turner and many beloved relatives and friends. Left to cherish her memory are her daughter, Melanie (Gerald) Merhar; son, Jeffrey Knight (Tim Peltier); step-daughter, Doris (Jack) Woods; granddaughters, Riley Powell, Abbi Merhar and Sarah (Scott) Lydick; step-great-grandchild, Slade Lydick; sister-in-law, Doris Brown; brother-in-law, Melvin Turner; special cousins, Vickie Burchfield, Rosamary Mauney Vicknair; and special friend/family member, Brenda Waller. She also leaves behind a host of people who she touched along the way and who touched and inspired her. In keeping with her humble life, she requested no visitation or service. Her request was that anyone who is able and wishes to could gather at Pine Grove Cemetery in Jasper, Tn. at 1 p.m. Central time for a prayer, a brief word and her burial on Thursday, March 21. Funeral arrangements are entrusted to Tate Funeral Home, LLC., 950 Mel Dixon Lane, Jasper, TN 37347, (423) 942-9500.